The leaves and flowering stems are harvested in the summer and dried for later use. An attractive shrub, 2-4 feet, with feathery, silver-grey foliage. Succeeds in any garden soil, but full sun is essential. Propagate by cuttings taken in spring. Put out the plants in autumn at intervals of 18 inches apart. Plants ultimately grow to quite 6 feet across. The aromatic leaves are used as a flavouring for broths, sauces, grain dishes etc. The leaves and flowering tops are antispasmodic, disinfectant, emmenagogue, stimulant and vermifuge. 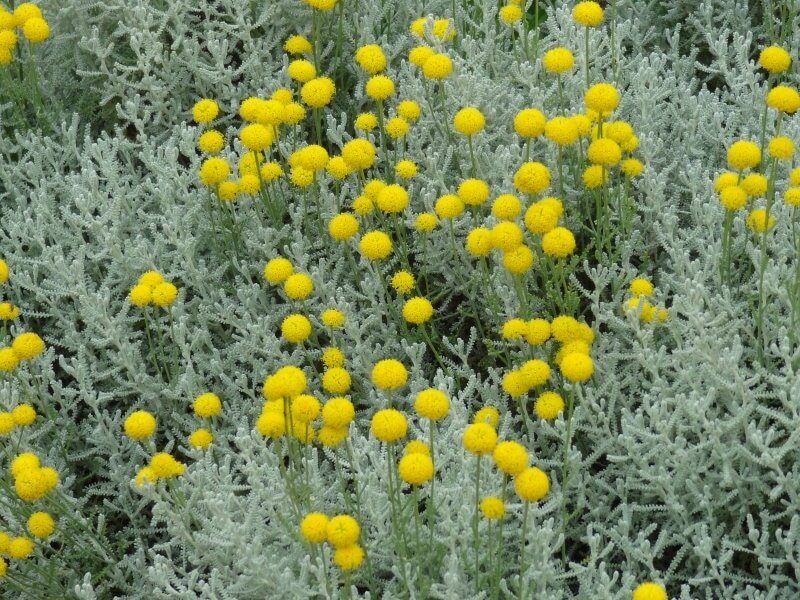 Cotton lavender is rarely used medicinally, though it is sometimes used internally as a vermifuge for children and to treat poor digestion and menstrual problems. When finely ground and applied to insect stings or bites, the plant will immediately ease the pain. Applied to surface wounds, it will hasten the healing process by encouraging the formation of scar tissue.